A successful language learner must be able to perceive and produce novel sounds in their second language. However, the relationship between learning in perception and production is unclear. Some studies show correlations between the two modalities; however, other studies have not shown such correlations. In the present study, I examine learning in perception and production after training in a distributional learning paradigm. Training modality is manipulated, while testing modality remained constant. Overall, participants showed substantial learning in the modality in which they were trained; however, learning across modalities shows a more complex pattern. 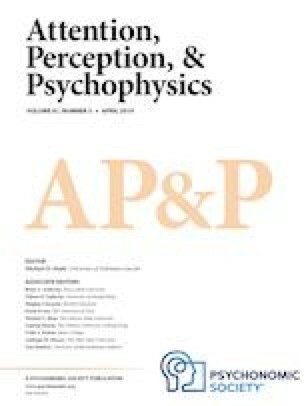 Although individuals trained in perception improved in production, individuals trained in production did not show substantial learning in perception. That is, production during training disrupted perceptual learning. Further, correlations between learning in the two modalities were not strong. Several possible explanations for the pattern of results are explored, including a close examination of the role of production variability, and the results are explained using a paradigm appealing to shared cognitive resources. The article concludes with a discussion of the implications of these results for theories of second-language learning, speech perception, and production. This work was supported by National Science Foundation Grants BCS-0951943 and BCS-1734166. I would like to thank Ann Bradlow, Matthew Goldrick, and Arthur Samuel for their comments on previous versions of this work. The data reported here are available, but none of the experiments were preregistered.